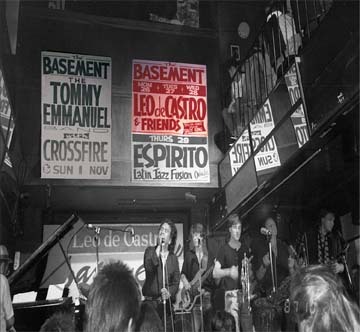 In October 1987 singing sensation LEO DE CASTRO was pitched with an all-star lineup in a soul and R&B tribute at Sydney live music headquarters - The Basement. With a set list of classics by Otis Redding, Sam & Dave, Wilson Pickett, Sam Cooke, James Brown, Ben E. King, Wilbert Harrison, Big Mama Thornton and Little Richard, word soon got out and three "souled-out" shows ensued. Fortunately the sound man ran his new-fangled digital recorder across the desk and captured the magic that unfolded - master interpreter in triumphant return with cooking band. 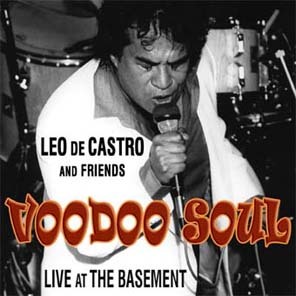 Big Beat Music proudly presents VOODOO SOUL - featuring the singer's singer, Mr Leo De Castro and Friends - Live at The Basement.